Another festival is born with the promise of giving you loads to celebrate during your summer nights. You have a whole month, from the 26th of June to the 27th of July, to get to the Universidad Complutense for the Mad Garden Festival. 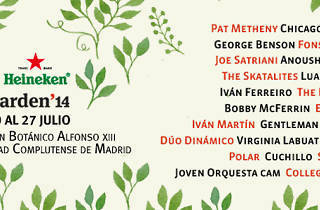 The actual venue is in the botanical gardens in front of the Facultad de Ciencias Biológicas. A stage is set up in this fresh and romantic outdoor space to host some 20 national and international artists from all types of musical genres, including jazz, classical, rock, etc. 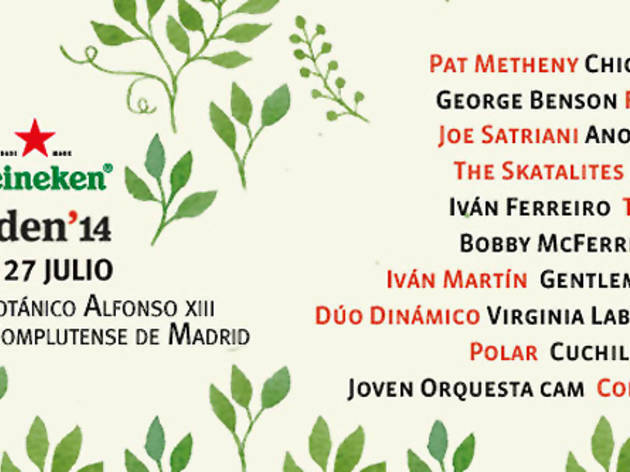 With the starry Madrid sky as a backdrop, bands taking to the stage include Chicago, George Benson, Joe Satriani, The Beach Boys, Bobby McFerrin, Fonseca and Iván Ferreiro, among many others. There's no multiple-day pass – just purchase individual tickets to the shows you want to see.